The world of work is no longer predictable. As it becomes increasingly rare to have a stable career in any field, we’re left with patchwork resumes and piecemeal lists of achievements. How do we make sense of our diverse experiences—and how do we explain it? 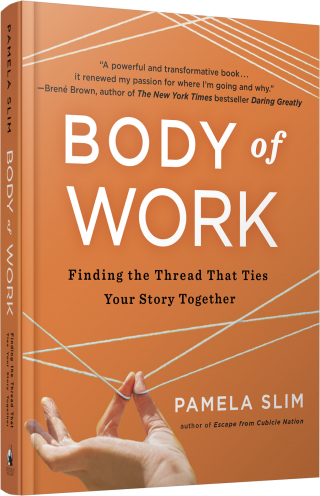 In BODY OF WORK: Finding the Thread That Ties Your Story Together, (Portfolio/Penguin, January 2014) Pamela Slim, business coach and acclaimed author of Escape from Cubicle Nation, teaches you how to put the pieces together. Offering concrete steps alongside personal stories, she reexamines how we define our careers and ultimately how we define our lives. Define Your Roots: Make sure your work aligns with your values. Name Your Ingredients: Find hidden talent and leverage from all your life experiences that will make you uniquely positioned in the market. Choose Your Work Mode: Mitigate the risk of losing your job or business by ensuring your work is valued across multiple channels and environments. Surf the Fear: Learn how to navigate the fear and uncertainty that is inherent in the new world of work. With this powerful guide, you will learn how to find the connections among your diverse accomplishments, sell your story, and continually reinvent and relaunch your body of work. – Nancy Duarte, CEO of Duarte, Inc.
Step-by-step advice to escape your job and pursue your passion. Inspired by her successful blog of the same name, life coach Slim shows readers how to navigate the terrifying yet gratifying transition from corporate drone to entrepreneur. She strikes a perfect balance between emotional encouragement and practical advice: Hating your job intensely, she writes, is not a business plan. What’s here is: the nitty-gritty of getting a business off the ground, legal considerations, making the best use of social networking sites, the components of a business model, organized creative brainstorming, financial advice, shopping for self-paid insurance and benefits, and helpful anecdotes of real-life entrepreneurship. With her humorous insights into corporate life and an appealing no-nonsense yet empathic tone, Slim deals swiftly and incisively with anxiety, fear and hesitation. Readers will cheer as she teaches the tricks behind finding what makes you purr—what people will pay you to do, what you have a great passion for and what you are genetically encoded to do. This is a standout in the start-your-own business genre. 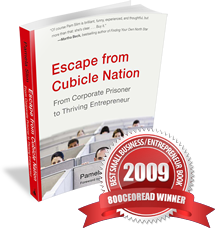 Pam was chosen by editor Michael Bungay Stanier to contribute an essay to this unique fundraising book, along with fellow authors like Tom Peters, Daniel Pink, Seth Godin and Sir Ken Robinson. 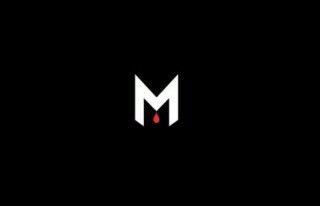 Over $300,000 was raised by the book to fight malaria, a figure that keeps climbing with each sale.